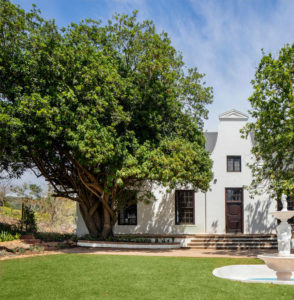 Retiring to Oasis Life Clara Anna Fontein means retiring to one of Cape Town’s finest lifestyle estates. 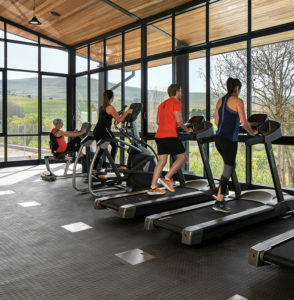 These 128 hectares of peace, security and great natural beauty are set in the gently rolling hills above Durbanville, and offer a modern take on retirement living. 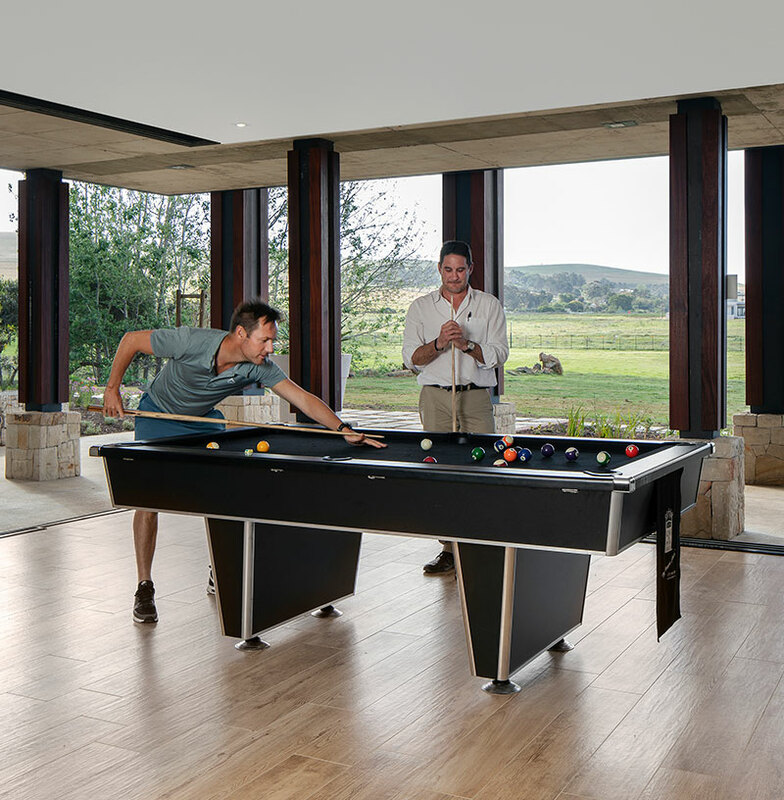 In this vision of retirement, retirees have their own village of contemporary cottages with a dedicated clubhouse and care centre, but are also welcome to enjoy the magnificent Clara Anna Fontein Lifestyle Centre, with its world-class clubhouse, health, sports and entertainment facilities, and so much more. The result is definitely a ‘best of both worlds’ solution for retirees: peace and quiet when you want it, and all the conviviality of a family-oriented, multi-generational country club when you’re in the mood for fun and games. And at the heart of the estate is the multifaceted, multi-functional Lifestyle Centre. 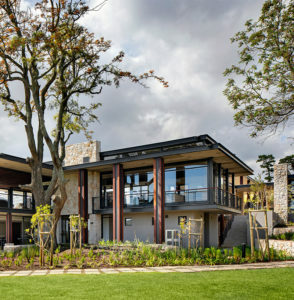 This magnificent combination of 18th and 21st Century buildings features an expansive clubhouse with a bar, restaurant, viewing deck and games room, brilliantly designed in glass, stone and steel as an extension of the lovingly restored manor house. A formal garden complements the original facade, alongside which a toddlers play area with pool and jungle gym adds to the array of family offerings. A well-equipped gym with enormous picture window, a 25 metre swimming pool, a squash court and two tennis courts add health and sports components to the Lifestyle Centre, complemented by over seven kilometres of secure, scenic trails for walking, running and cycling. A spacious, tree-shaded boma provides an additional outdoor entertainment and braai area, while a three-hundred year-old wine cellar provides an additional meeting and hobbies room for residents, completing what is surely one of the best suites of communal amenities in any private residential estate in South Africa. In addition to the Oasis Life Village, the greater Clara Anna Fontein estate comprises 344 generously proportioned single residential erven, a compact village of contemporary townhouses, a Reddam School campus, a lush wetlands greenbelt and a private nature reserve, home to various species of antelope and other wildlife, including zebra and wildebeest. Way back in the 18th century, a gentleman by the name of Hendrik Olivier married the young Beatrix Verwey van Woerden, and they began their life together on a beautiful farm in bountiful Durbanville. Shortly after they were married they were blessed with their first child, a beautiful daughter called Anna, and then a second, whom they named Clara. A few years later, Hendrik tragically passed away and Beatrix became the owner of the farm – and the first female farmer in the Cape. Not surprisingly, Beatrix left the farm to her daughters and renamed it in their honour. And the Fontein? The spring of clear water still runs to this day, and is the source of the water that runs down the little valley in front of the Manor House into the wetlands.